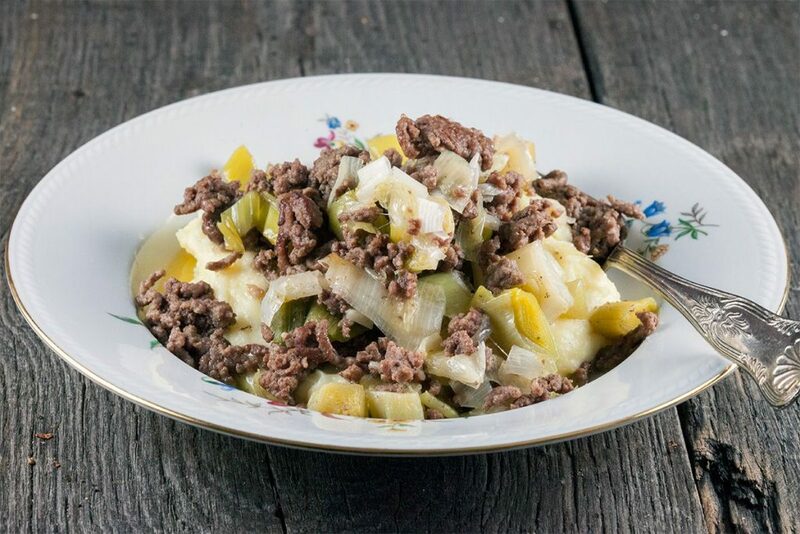 Braised leeks with minced beef is a super easy comfy food for any cold day. Served with mashed potatoes and ready in 20 minutes. Recipe for 4 people.